Writing fan fiction? cheer up! I have a feeling that fan fiction writing will never be taken seriously. I have a confession to make, I used to write fan fiction some time ago. And even though, I’m not looking forward to pursue that path (that doesn’t mean that I won’t do it again), I will always be very fond of it. How did I start writing fan fiction? I’m a big nerd (proud to admit it 🙂 ) and the type of geek girl who is always into movies and series fandom. 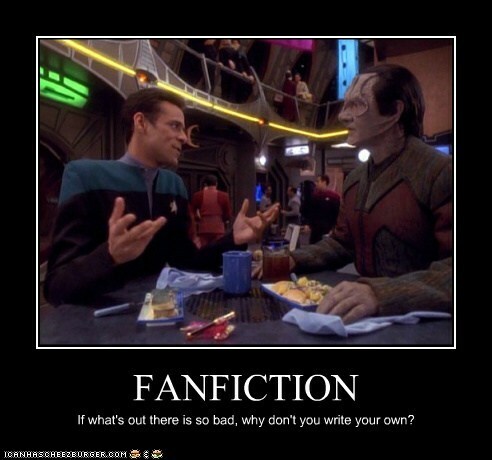 So many years ago, I discovered the world of fan fiction; where fans could read stories of their favorite movie/TV characters in other environments, situations, episode endings, etc. In few words, what fans didn’t get to see on the screen, or what they thought could had happened, was written into many types of fan fiction stories; some of them really imaginative, twisted, and of course with all types of adult censorships. Did I get a good experience from this? Of course I did! Maybe if you’ve read some of my previous posts, you’ll know that I actually didn’t write anything from age nine to my late twenties. Nothing. So yes, fan fiction actually got me into writing again. I started like that. I doesn’t matter if it were stories of characters already invented by somebody else in situations already written by somebody else. It gave me confidence to start writing and narrating in my own words my version of the events. Later I moved from writing these type of stories to ones of my own, with my own characters and my own settings. I wouldn’t ever regret going through that stage. I know that maybe that’s not the recommended training for a writer, but for me it worked. 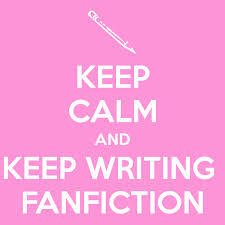 Do I recommend you to write fan fiction? It’s up to you. But I must warn those who’ve never had any experience reading it, the quality of the writing that you’ll find in this world (it’s a whole world out there, you wouldn’t believe it) is a little bit questionable. I mean there are good pieces out there, well written. But also, there are others that look more like the first stories of nine or ten year olds (which is great! because at least they are starting their first steps into writing) and there are of course, a lot of fan fiction written by non-native english speakers at all levels (which is great as well, because the only way to improve writing in a foreign language is by actually writing). So maybe if you’re a reputable author or you have a BA in English, this may not be a type of writing that appeals to you. But if you’re a person who wants to give it a try, then you’ll find it interesting. Of course, you really have to be a geek fan of something, in a way that you’ll spend your time trying to figure out multiple stories or endings for characters that are not yours. But whether this is for you or not, writing is about writing. 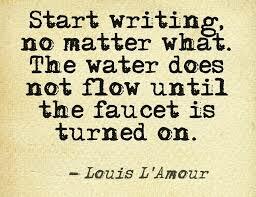 And they only way to improve your writing is by writing a lot and reading even more. There’s no other way. I can’t hardly think there were writers out there who were just so naturally gifted that sat down one day and produced a genius novel without writing anything before and without actually being readers. So if you want to write, just write, period. 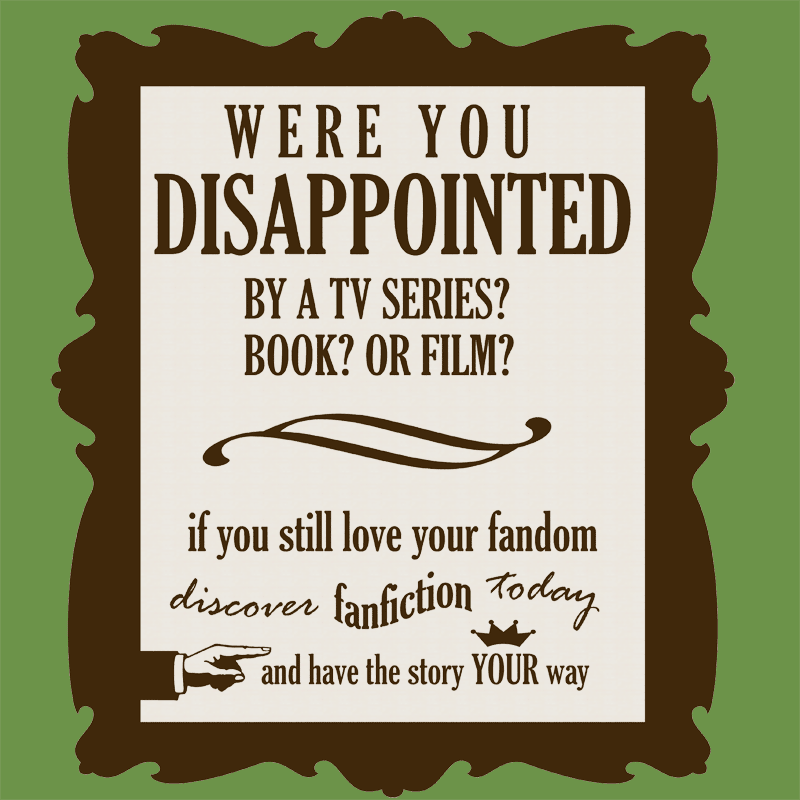 And you, have you ever got interested in fan fiction? Do you think is a good way to learn how to write? Next Editing/Revision is done! I’m back and have learned very good lessons!